Another quick one this week given how busy a week it was. This post is designed to give a glimpse into how my quantitative mind thinks. It was announced a few weeks ago that Hilton was selling the Waldorf Astoria for $1.95 billion. I was astounded. I couldn’t believe it sold for so much. When an iconic asset sells with a long history I instantly want to know what was it built for and what was the compound rate of return. To figure this out I turned to one of my favorite websites, www.newspaperarchive.com (subscription required) and did a search between 1931 and 1932 to see if there was information about how much it cost to build. The property was completed in 1931. It took me a lot of searching because the database is so vast. 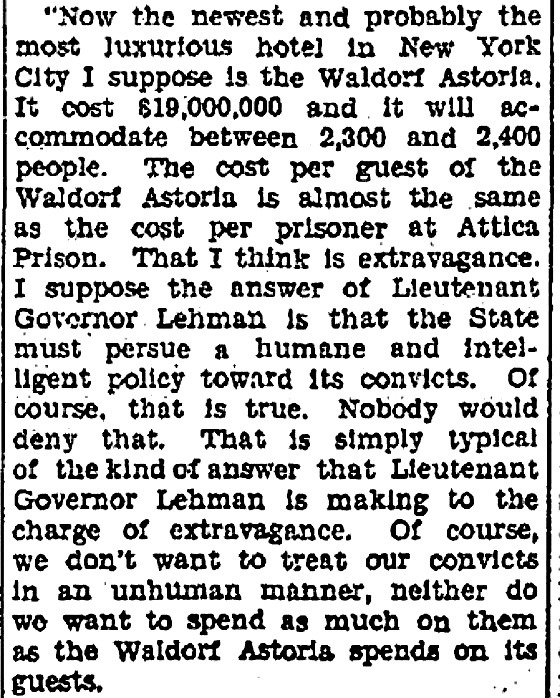 The article is an indictment how much it cost to build Attica prison and compared it to the cost of the Waldorf Astoria. Some things never change when it comes to criticism of public building projects. In any event, I was successful and learned that it cost $19 million. Of course, properties require investments to be put into them over the years to keep them marketable, but I chose to ignore that.and figure out what the compounded annual return has been since 1931. So what’s your guess in terms of the annual return? Surprising to most people, much lower than most people would think. It’s 5.73%. Thus, with enough patience, capital reserves, and well located real estate, especially with some leverage, the returns can be quite impressive. Most people are looking for investments that produce 10% per year, which is achievable in the shorter term but can be a challenge over decades. Great real estate with some leverage can go a long way to producing long-term wealth creation. Urban real estate seems to be the way for the global income elite to store much of their wealth these days. There’s a belief that owning properties in difficult to build markets with large population centers is a great way to store and preserve wealth while offering some inflation protection. The U.S. dollar has been strengthening, our economy is doing better than most of the world, and we have positive demographics, unlike many other developed countries. We also have the rule of law to protect investors.With more foreign capital seeking out U.S. real estate, particularly in major metropolitan areas and the demand for yield-oriented investments remaining robust, it would seem like high-quality real estate should continue to perform reasonably well over the long term. And even if it grows at 3% per year for 20 years and you put down 30% as a down payment, one can grow their investment by almost 400% before taking into consideration any dividends. Real estate is usually a get rich slowly business and one that can also allow those patient investors to stay rich as well. 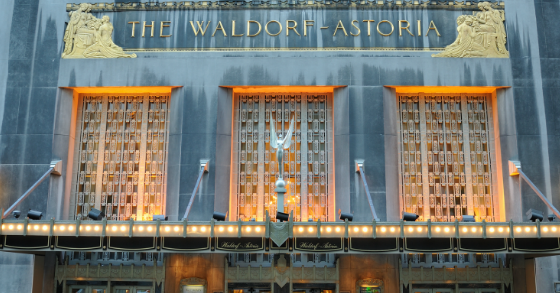 It may not equal the same returns as the Waldorf Astoria, but still respectable nonetheless. Compound Interest – So what was your guess in terms of the annual return realized on the Waldorf Astoria? 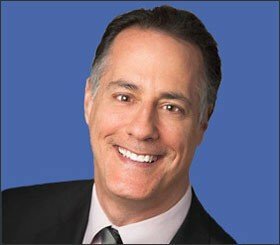 Would you have the patience to hold on to great real estate to create long-term wealth? Please share your thoughts in the comments below. Really had no clue but figured it was higher. Guessing it is after dividends and upkeep. Great work finding that info!